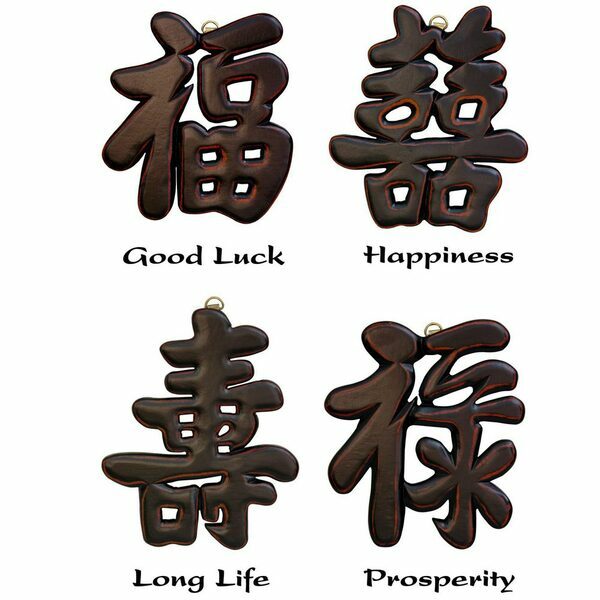 Set of 4 Tao Good Wishes Symbols - Antique Black Wood / Each Piece 7" x 6"
Lovely, unique set of 4 Tao good wishes symbols; Chinese "hanzi" or Japanese "kanji". 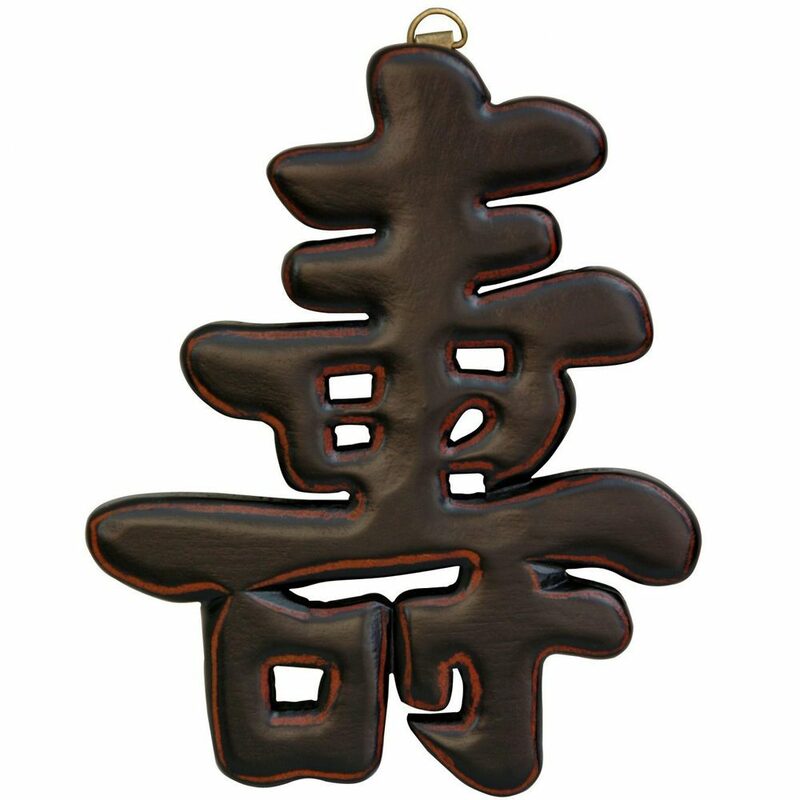 Decorative wall plaques carved from fine kiln dried Rosewood, finished with a beautiful hand rubbed, distressed oriental black lacquer. 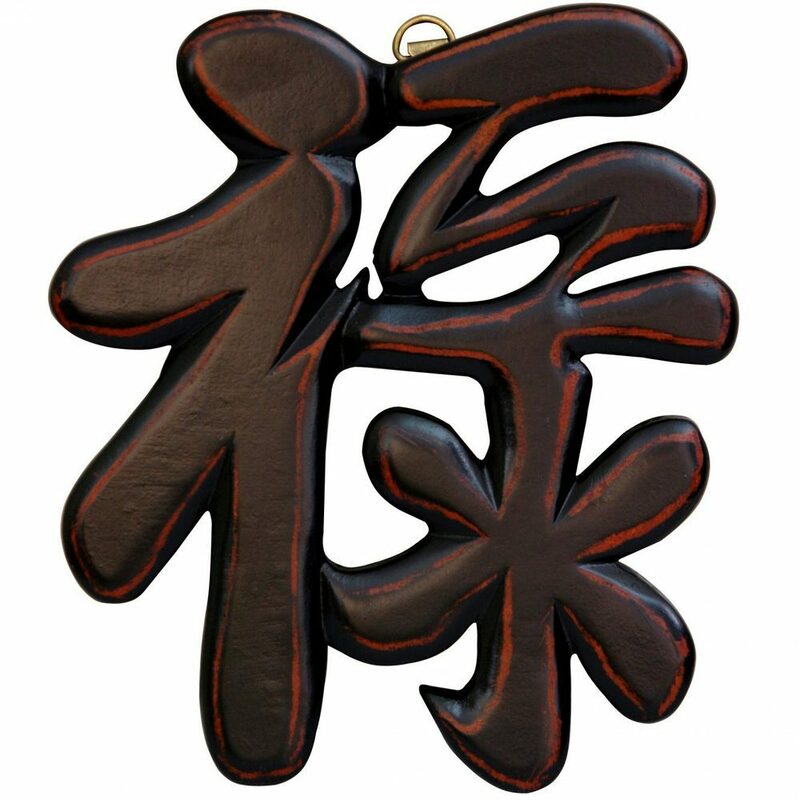 Brass rings attached to the back of each character for easy mounting; for indoor use. 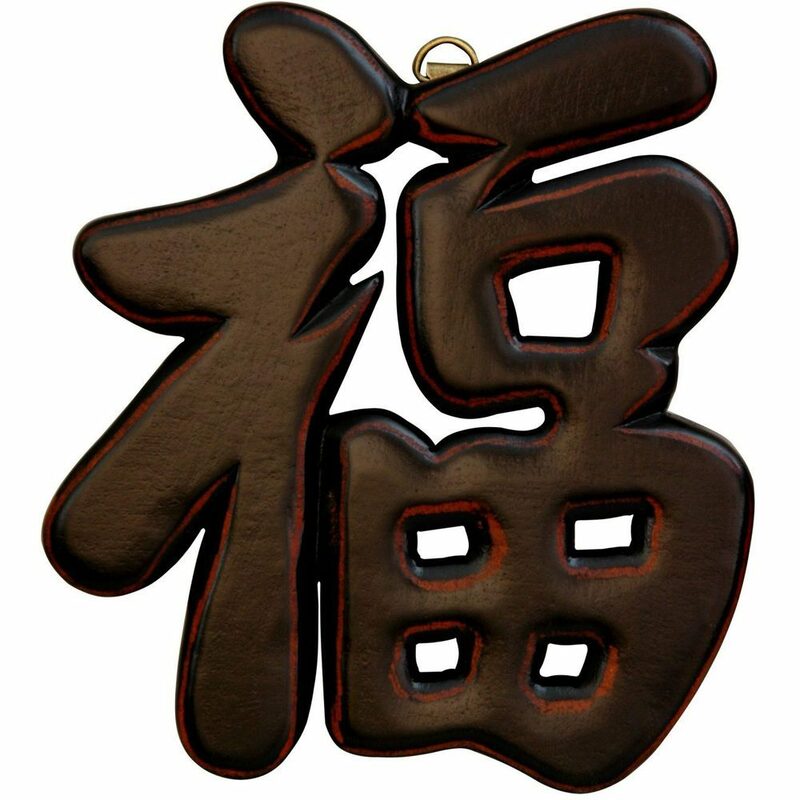 These symbols are part of the East Asian alphabet of Sumi-e calligraphy characters. 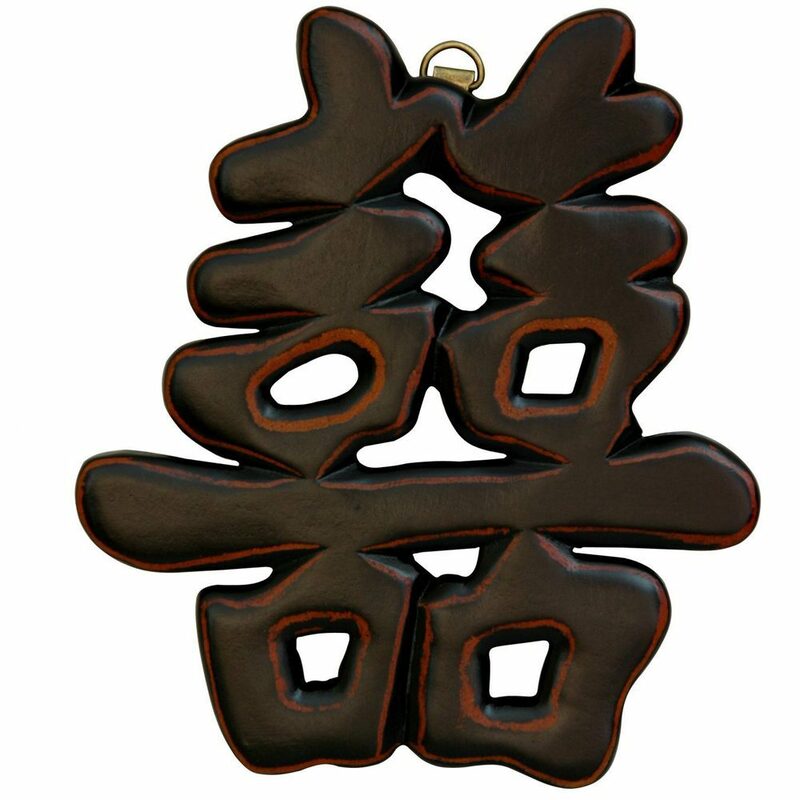 They express wishes of for good luck, prosperity, longevity, and personal affection for the household or business. A simple, unique gift idea for weddings, housewarmings, birthdays, and new ventures.